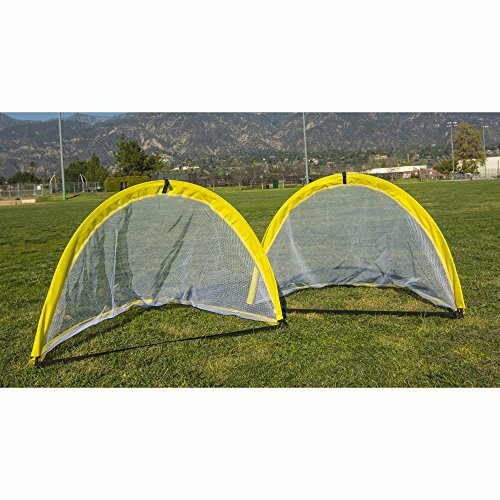 The Athletic Works four-foot Pop-Up Goal is constructed of a durable graphite frame and wire net. The assembled size is 4'W x 2.6'H x 2.6'D for this soccer training aid and designed to be assembled easily for quick set up and take down and comes with a carrying bag to allow easy transport. This purchase comes with two pop-up soccer goals to practice different drills! If you have any questions about this product by Athletic Works, contact us by completing and submitting the form below. If you are looking for a specif part number, please include it with your message.